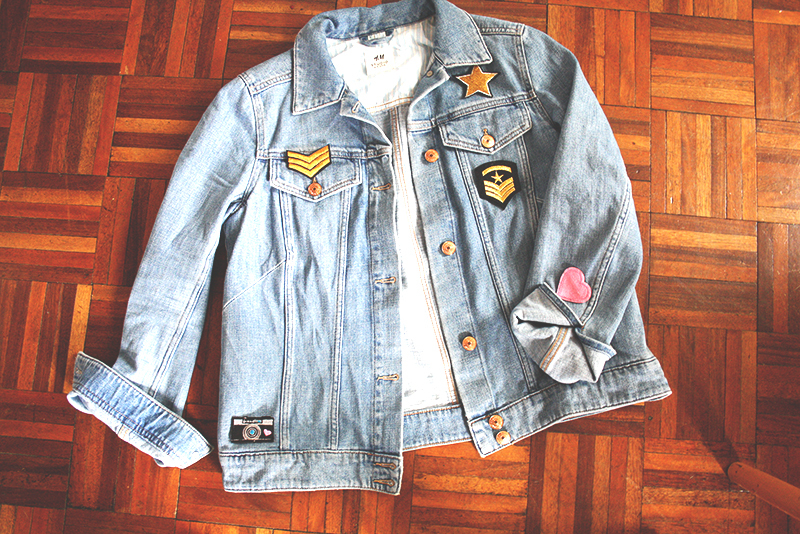 How to customise a denim jacket. Easily. There is this huge buzz about the Nineties. 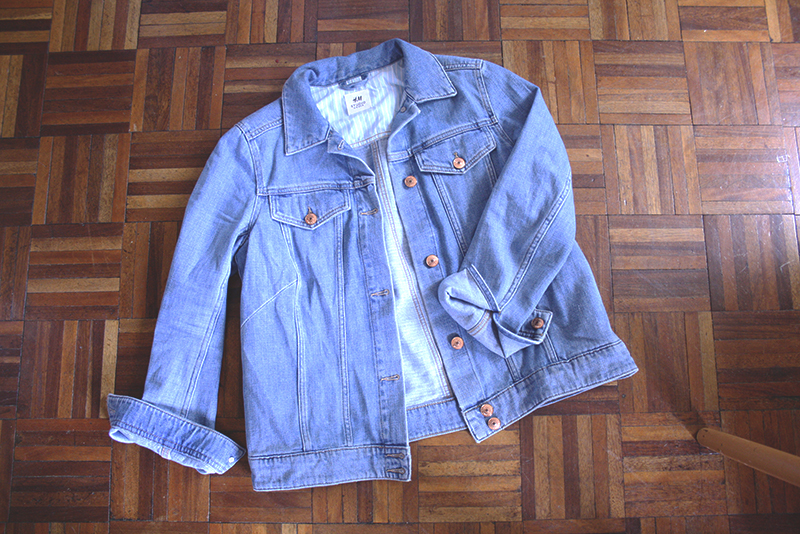 So I thought I would show you how to customise a denim jacket so you don’t have to go out and buy a new one to get the look. 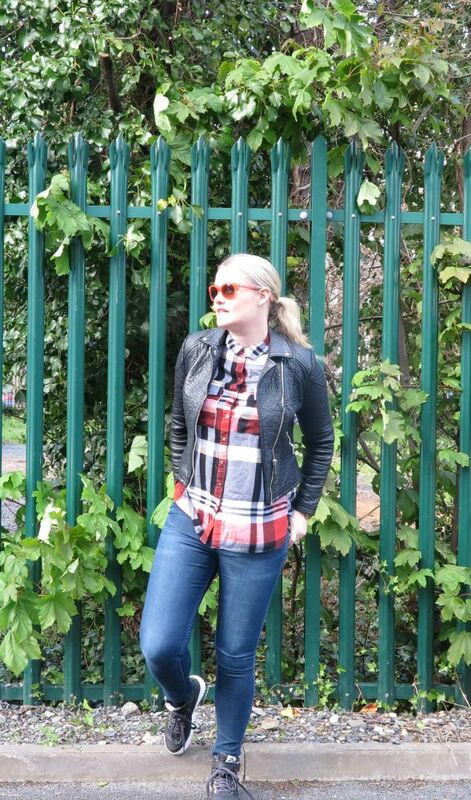 I love a bit of fashion DIY, and the thing is, it’s not that hard to make something your own. I have this jacket a couple of years from one of the H&M Studio Collections. I love it. It’s a bit oversize and it matches everything. The fabric is of a great quality and so it’s lasting very well. But I want to make some changes to it, to add a bit of, well, funk. So there’s an easy way to do it. 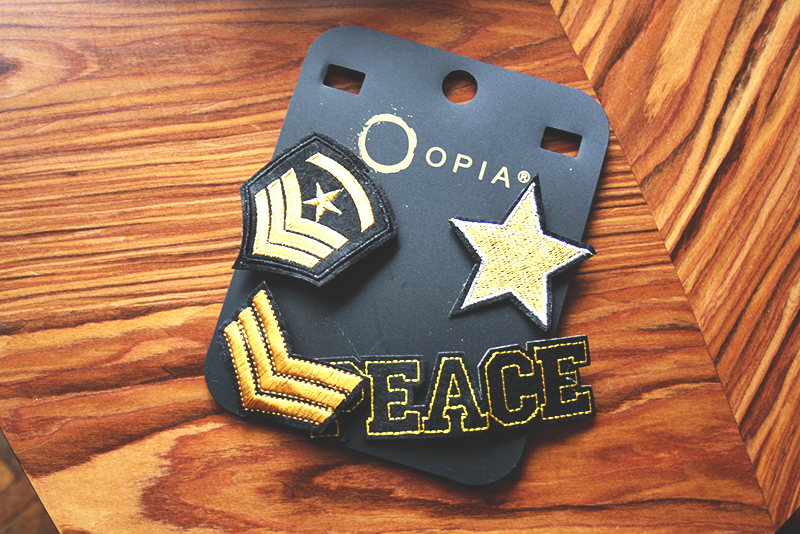 Step in Penneys and their new range of badges that will add a detail to any plain jacket or t-shirt you might have. And the great thing is, they can be applied with the attached safety pins so the change isn’t permanent. I got two packets of the badges, some with a “Top Gun” feel and the others just cute, pink and albeit, a bit kitsch. 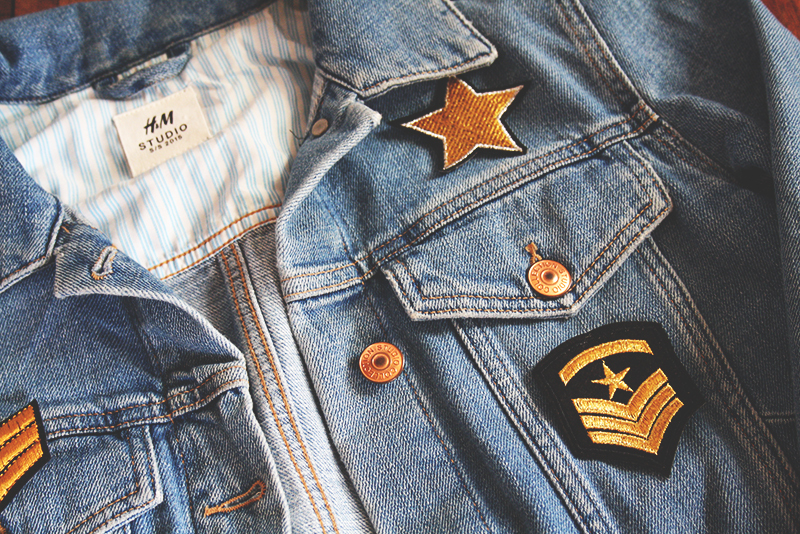 To customise a denim jacket, you simply pin these on anywhere that takes your fancy. I went for the two breast pockets, and attached two of the gold pins either side. The star I added just at the collar bone, as it’s a smaller piece. I think these are subtle changes, but for about €4 a packet, it’s a great way to make an affordable and easy change to alter the look of your clothes. I reckon you can add these to a blazer too to edge it up.